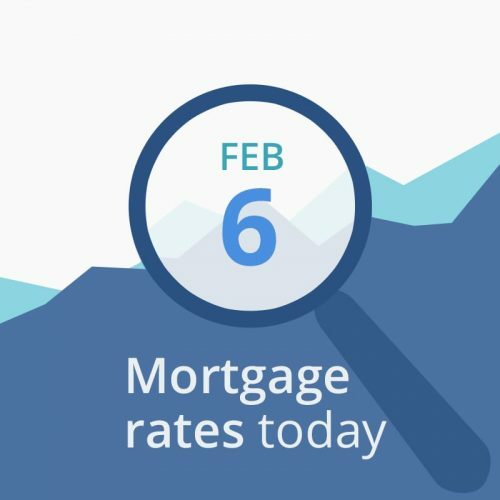 Average mortgage rates today opened lower following last night’s State of the Union address. The lingering effects of the shutdown mean today’s pertinent reports won’t come out. They are officially listed as “delayed.” So we’ll have to make our decisions based on economic data (below the rate chart) and the results of a Treasury auction (10-year Notes) ending at 1 PM EST. Strong demand will push bond prices higher and cause yields (rates) to fall, while investor disinterest can cause falling bond prices and higher rates. We will update this post after the auction ends. UPDATE: Treasury auction met with soft demand from investors. This pushed the 10-year yield back up to 2.70 percent. Unlikely to affect mortgage rates today because it’s only 1 basis point. Today’s financial data contains neutral-to-good news for mortgage rates this morning. Mortgage rates today are mostly lower, and the only report due tomorrow is not one of the important ones. Indicators are neutral, so if you need to float a day or so to get a better rate (a 15-day lock instead of a 30-day lock, for example) you can probably do so safely. If your closing is weeks or months away, the decision to lock or float becomes complicated. Obviously, if you know rates are rising, you want to lock in as soon as possible. However, the longer your lock, the higher your upfront costs. On the flip side, if a higher rate would wipe out your mortgage approval, you’ll probably want to lock in even if it costs more. Many reports this week are marked “DELAYED” in MarketWatch’s economic calendar. This has become a normal occurrence since the government shutdown began. For example, suppose that two years ago, you bought a $1,000 bond paying 5 percent interest ($50) each year. (This is called its “coupon rate” or “par rate” because you paid $1,000 for a $1,000 bond, and because its interest rate equals the rate stated on the bond — in this case, 5 percent). That’s a pretty good rate today, so lots of investors want to buy it from you. You can sell your $1,000 bond for $1,200. The buyer gets the same $50 a year in interest that you were getting. It’s still 5 percent of the $1,000 coupon. However, because he paid more for the bond, his return is lower.